kira-kira (kee ra kee ra): glittering; shining Glittering. That’s how Katie Takeshima’s sister, Lynn, makes everything seem. The sky is kira-kira because its color is deep but see-through at the same time. The sea is kira-kira for the same reason. And so are people’s eyes. When Katie and her family move from a Japanese community in Iowa to the Deep South of Georgia, it’s Lynn who explains to her why people stop on the street to stare. And it’s Lynn who, with her special way of viewing the world, teaches Katie to look beyond tomorrow. But when Lynn becomes desperately ill, and the whole family begins to fall apart, it is up to Katie to find a way to remind them all that there is always something glittering — kira-kira — in the future. I wasn’t planning to cry during the Readathon. I wasn’t expecting this book to be such a sad one. You’re probably thinking, wait, doesn’t that synopsis already imply that it will be a sad story? I suppose if I had actually read it, I would have known that to be the case. But I’m not really one for reading of synopses. I don’t really like to know very much about the story before I read it. I saw the copy at the library sale and knew that I was meant to take it home and read this book that very day. It is, as many YA books are, a story about growing up, about learning to love yourself and become your own person, and overcome adversity and all that. But what I thought was unique and memorable was its setting – Georgia in the 1950s, specifically a town called Chesterfield with a population of 4,001, of which 31 were Japanese, and all the Japanese dads worked at the hatchery in a nearby town. Life here for Katie and her family is a struggle, a struggle to fit in with the rest of the kids, a struggle to find enough money to support the family, buy a house, and figure out what’s wrong with Lynn. In Japanese, bachi was when you snapped at your wife, and then tripped on a rock in the driveway. You didn’t suffer your punishment in another lifetime, but within the same life, even within the next few minutes. 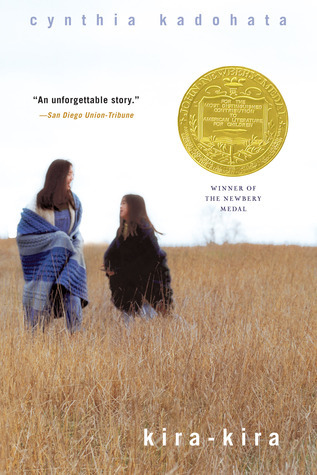 Coincidentally (or maybe not), I had read a book about Japanese-Americans just a few weeks before. Naomi Hirahara’s Summer of the Big Bachi is set in Southern California in the 1990s, but with the specter of Hiroshima still lingering. Mas Arai is a gardener, a widower, a gambler, just someone trying to get by. But one day a stranger comes knocking and asking questions about someone Mas once knew back in Hiroshima, all those decades ago, and, yup, those secrets are coming out, and people are getting hurt. The heyday of the Japanese gardener had passed them by years ago. Once, there had been hundreds of them on the front lawns of practically all Southern California homes and businesses. Now they were replaced by their former helpers, the Mexicans, with shiny new trucks, eager family members, and cut-rate prices. Keiko continued, “We don’t fit in here; don’t fit in there. If you don’t go back by the time you’re thirty, it’s too late. America’s fully corrupted you. When Mari was growing up, they went to only one restaurant: Entoro in Little Tokyo. Entoro was also known as Far East Café, a chop suey house, the old kind before the new Chinese came to town. There, you got greasy homyu, looking like day-old Cream of Wheat in a tiny bowl; almond duck, slippery, fat, and buttery, with a crunch of fried skin and nuts; and real sweet and sour pork, bright, stinking orange like the best high-grade motor oil. Everyone went to Entoro, crowded around tables separated by wooden dividers like a giant maze of horse stalls. I just wish I had read these in time to post it for Diversiverse! ← Previous Post It’s Monday and we have rain!! Oh those sound wonderful! 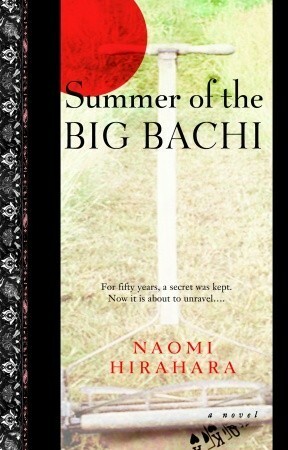 Summer of the Big Bachi looks to be a good one, I need to read more Japanes-American fiction. Also, she write mysteries? One of my fave genres!